Established in 1982, Advanced has built up an outstanding reputation as the provider of world-beating equipment for AC&R service engineers. 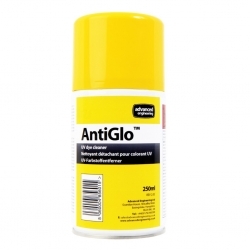 To achieve that position, it has constantly scoured the globe for products that offer exceptional performance. 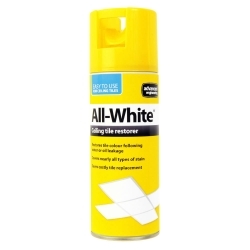 All-White® ceiling tile restorer is a quick and easy way of re-colouring stained ceiling tiles to their original whiteness – saving you the time and expense of sourcing a new tile. 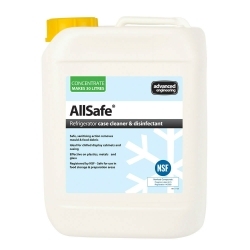 AllSafe® is a world first – a cleaner and disinfectant for commercial refrigeration casework, with a formulation that leaves metals, plastics and glass sparkling clean & safe. 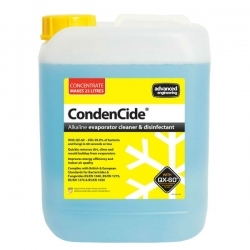 CondenCide is a heavy duty coil cleaner that will not only shift the worst evaporator dirt and grime, but contains a powerful disinfectant to kill virtually all bacteria in under sixty seconds. CoolSafe® is an effective coil cleaner for refrigeration systems. 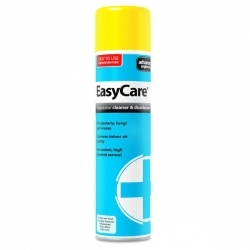 Its unique formula will remove all common contaminants left by organic materials and foodstuffs on cooling coils… with minimum hazard to the user and immediate environment. 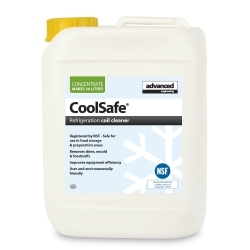 CoolSafe RTU® is an effective ready t use coil cleaner for refrigeration systems. 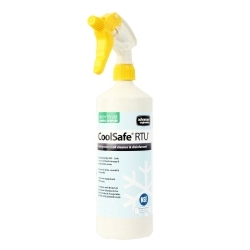 Its unique formula will remove all common contaminants left by organic materials and foodstuffs on cooling coils… with minimum hazard to the user and immediate environment. 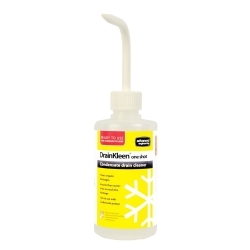 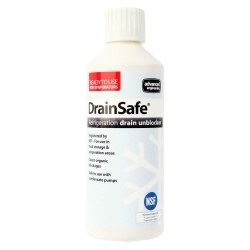 DrainSafe has been designed to quickly dissolve slime and biofilms. 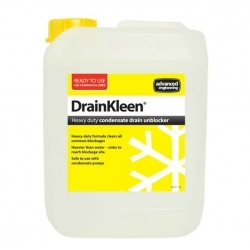 These buildups are commonly found in the condensate lines draining away from chilled storage and dairy cabinets and can cause blockages and the spread of bacteria.